Designer Angela Missoni had one thing in mind when creating the brand’s spring collection: keeping things simple. 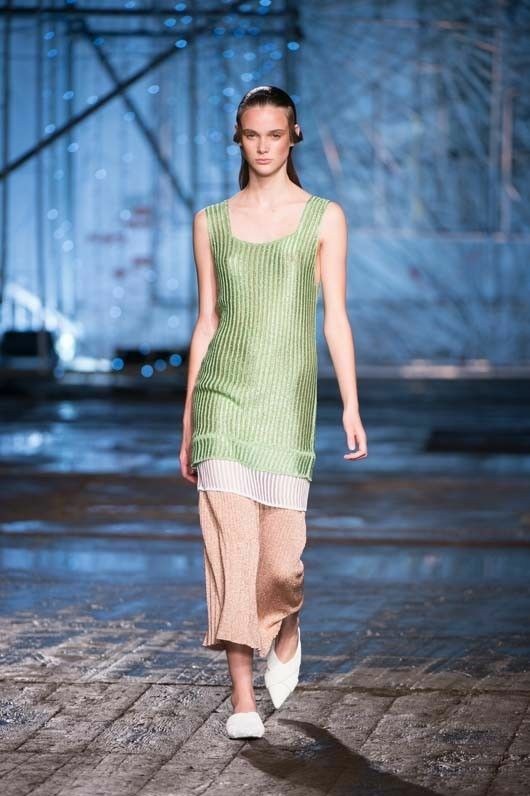 While every piece still had the signature Missoni touch, the collection fully embraced earthy tones. Along with these pieces came organic, nature-inspired patterns resembling and the color pairing of blue and orange that is pure genius. The glittery fabric added extra oomph to the bright silhouettes. Long dresses of light fabric easily floated down the runway. Knit micro dresses kept design simple while embracing Missoni’s bright hues and emblematic patterns. Keep reading to see every look from the Missoni S/S 17 collection, and be sure to shop current pieces here.